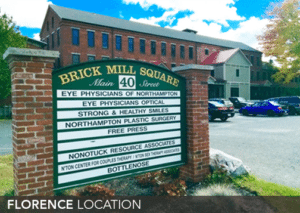 Eye Physicians of Northampton is a renowned multi-specialty ophthalmology practice with locations in Florence and Amherst, Massachusetts. Our focus is on compassionate and comprehensive medical, surgical and optical care. We provide our patients the care and attention they deserve, while providing them the best possible vision and overall eye health. 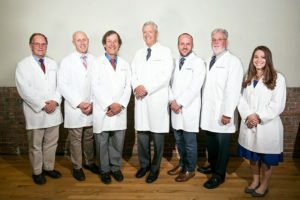 The doctors at Eye Physicians of Northampton provide a range of services including comprehensive eye exams, LASIK, Diabetic eye care, contact lens examinations and more. Our goal is to make each visit to the eye doctor as convenient for our patients as possible by specializing in a wide variety of treatments and services. At Eye Physicians of Northampton, our ophthalmologists and optometrists have many years of experience with a wide range of knowledge about eye conditions, treatments, and current technologies. Whether you’re interested in learning more about laser vision correction, require a comprehensive vision exam, or need attention for a complex eye disease, one of our highly qualified physicians can help. Our doctors strive to answer all of your questions, making certain you leave our office feeling well-informed, confident, and reassured.